Meet the Schuiteman family! Dale is a senior pastor in Marion, Indiana. Camie is a home educator of 2 children still at home and an advocate of vulnerable children everywhere. We have been blessed with six children as of December 2016. Our oldest daughter and her husband are a Coast Guard family giving us two beautiful grandchildren. We have a daughter who lives in Atlanta, Georgia, and works for an international mission agency. Our adult son resides in our town and will be married later this summer. 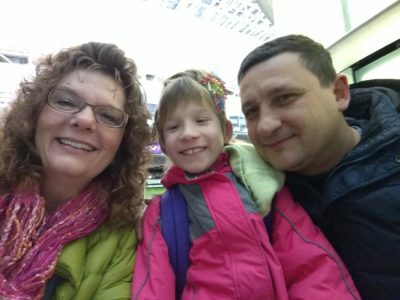 Our two children at home arrived in the US from Vietnam ten years ago, and now we have added our precious Julia, age 8, from Ukraine. We have always had a heart for adoption. Many years ago, when Camie was a school teacher, one of her most vulnerable students needed a home. It was then that fostering and adoption was taking seed in her heart. We decided to act upon that passion ten years ago when Michele Jackson led our journey to Vietnam, a country just opening to adoption. 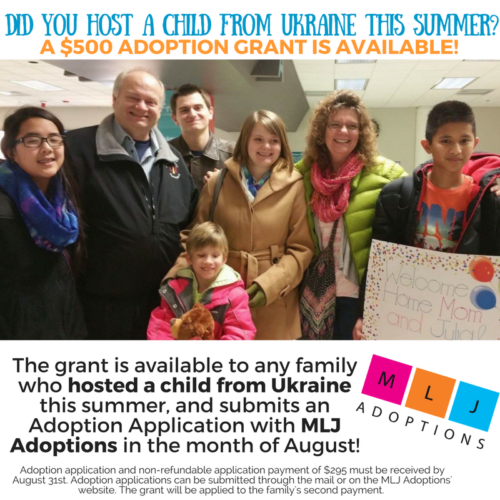 Our family has participated in MLJ’s Ukraine Hosting Program on two occasions. Our hosting experiences have been very positive. Surprisingly, the language barrier is easily overcome. We all became experts at charades, and Google Translate became our good friend. The initial meeting at the airport was the most awkward as introductions are made; however, the Russian speaking translators were a great assistance. In addition, the children are exhausted from the many hours of travel. After a night of sound sleep the fun begins. 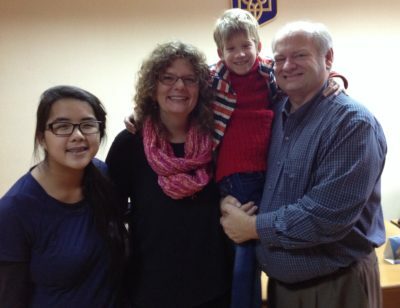 Based on our previous adoption in Vietnam, our adoption experience in Ukraine was very organized. Due to the fact that Vietnam was just opening and the road was unprecedented, it would be unfair to compare the two adoptions. The process in Ukraine was very scheduled. The interpreters were excellent, and our lodging was more than adequate. 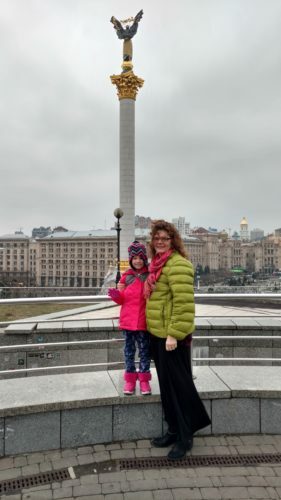 Therefore, our biggest surprise was how easy it was to adjust to living in Ukraine and how easy it was to meet all our needs. It is a very welcoming and westernized country. Our apartments were beautiful and allowed us to live independently. We enjoyed walking to local shopping areas and restaurants. In fact, we miss the croissants, cherry dumplings, and borsch! We were very impressed with the orphanage. 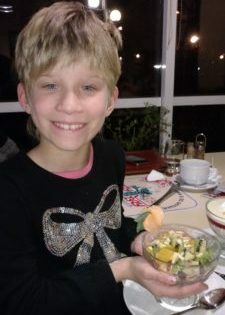 We met with a variety of professionals who had connections with Julia on a daily basis and who had details of her educational and physical needs. We were able to play in a “Sensory Play Room” stocked with balls, sand table, games, a climbing wall, and a large variety of toys. They invited us to join the director and staff for a special luncheon. It was evident that the director cared deeply for Julia and knew her strong desire to have a family. In fact, during the waiting period, when she would come to him crying, he would allow her to FaceTime us. In one of our meetings, the director asked her to verbalize her desire to be adopted. He explained the seriousness and the permanence of this decision. He asked what she would tell the judge when she would stand before him and be asked to give her permission to be adopted. Julia replied, “I will tell him GOODBYE!” The entire room erupted in laughter. One of our favorite modes of transportation while we were in Ukraine was the train. We were able to experience the fast train and the slow, overnight train. Each one was comfortable and just plain fun! The stewardess on the night train delivered hot tea and cookies immediately following the departure. The fast train was roomy, warm, and comfortable. There was plenty of room to lean back and sleep in the plush seats. A traveling food cart came by at regular intervals with sandwiches, snacks, and coffee. One fear we had was staying warm in a very cold climate. Ukrainians are experts at dressing in layers. Take warm boots and dress in several layers. We were pleasantly comfortable most of the time. Hot coffee and warm croissants are available on every corner for less than a US dollar. In fact, we found all food prices to be very reasonable. It is an economical place to stay long term. Camie and Julia pictured with Victor. Victor, our Ukrainian MLJ facilitator, was the key to our in-country experience. He was very thorough and explained our days in detail. He was always working on our behalf and did not get impatient at our numerous questions. He was willing to take personal time to be our tour guide. It was his goal to make our trip the most positive and successful as possible. His heart for the children was evident as they would all run to him and shout his name when we arrived at the orphanage. Clearly, we saw that this was not just a job for him. His passion is getting children into loving families. Our first major adjustment after arriving home was coming to understand that home education was not working for our new daughter. She has been surrounded by several hundred children her entire life, and being in a home with few children was very upsetting and frustrating for her. She increasingly began to have meltdowns, crying and screaming fits, and began to verbalize, “Julia no what to do.” We began calling local schools and determined which one had the best ESL program. They welcomed her with open arms. Their desire to see her succeed far surpasses our expectations. She began with 3 hours days, and by the end of the semester, had progressed to 5 hours a day. She will attend a full day when school resumes in August. 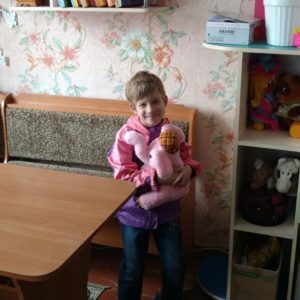 During the summer, we are trying to keep her busy with children’s activities at church and an art camp at a local university. Regarding food, we are striving to help her gain weight. She is limited on the food she enjoys. Her favorites are salami, oranges, cucumbers, and crackers. We work with her pediatrician to help her gain weight. We have learned that fighting over trying new foods is not productive. Since she eats from the various food groups, we let her eat as much of each as she wants. In the middle of a meltdown, we will often offer her food. Sometimes it is an effective distraction. It’s a win/win regulating technique. Occasionally she resorts to self-harm, such as biting her arms or pulling her hair. During those times, our goal is to keep her from harming herself. We repeat, “No hurts.” We have watched some educational videos explaining self-harm as suggested by the MLJ office. It has helped us understand the reason for this behavior. Honestly, it is very disturbing, and we often feel ineffective in dealing with it. We believe that as she learns more English and is able to communicate more effectively, her frustration level will lessen. Julia experiences fears over many things: flies, insects, all animals, riding a bike, loud noises… It is very important that we confirm her fears and show empathy. It requires much patience. If we get angry over her fears, then we add fear to US and our response. We have found it helpful to be honest when our patience is waning. During those times, I call on someone else who is close to provide comfort and a solution to her fear. I then retract myself from the situation. It truly takes ALL of us to meet her needs. Our support system has been key to sustaining stability during these first few months. The adult children in our home have provided respite so we can get away for an entire day. She is not comfortable being in new settings without an immediate family, so one person stays with her most of the time. Of course, as the weeks pass, she is able to handle new situations. We still limit long trips to town. Being in numerous stores and running several errands in a row tends to overstimulate her. She will become very silly and inappropriate in a store. It is helpful to always have an extra person who can whisk her to the van if necessary. Honestly, having been through this journey previously has been most helpful. We have experienced the difficulty of bonding and have seen steady, gradually improvement. Ten years later, it was worth it! We know this time is temporary. Others have traveled this road. I call upon other adoptive mothers who are more than willing to listen to my struggles and to encourage me with their stories. Also, I have received helpful information from the MLJ staff. They have spent time talking to me on the phone and sending me helpful links that I can visit for new ideas. Our advice to other families would be to understand that the journey will be long and bumpy. But, what life-altering event comes without sacrifice and strenuous work? 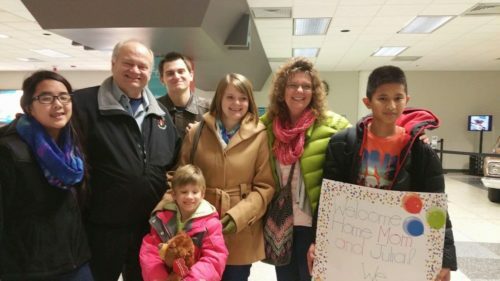 Adoption is worth all the difficulties you might face to get your child home. And, even though you think the hardest part might be fundraising and navigating the paperwork – the actual work begins when you get your child home and begin the heart-to-heart connection process. Know that the language barrier is not as constrictive as you might think. Children are smart and resourceful. We find creative ways to communicate, and you will be surprised at how quickly children learn a new language. Lastly, be as informed as possible. Before you travel, read and reread the travel guide, ask numerous questions, and talk to families who have traveled ahead of you. Knowledge is preparation. However, while you attempt to be prepared, be committed to flexibility. Adoption is a highly complicated process which requires the roles of many people often on different continents. Trust the experts who have been successful in bringing many children home. 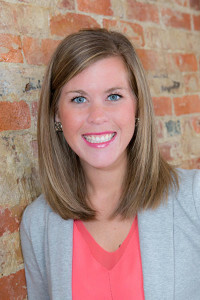 Caitlin Snyder works as the Director of Marketing and Outreach for MLJ Adoptions. Working in international adoption has given Caitlin the unique opportunity to pursue both a passion to advocate on behalf of vulnerable people and a profession at the same time.